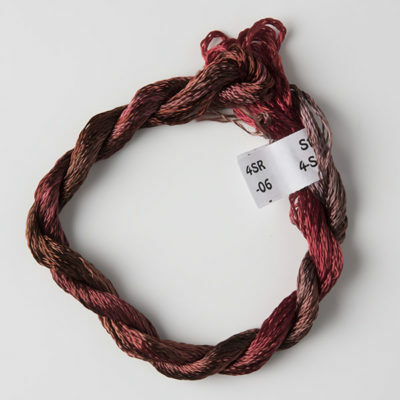 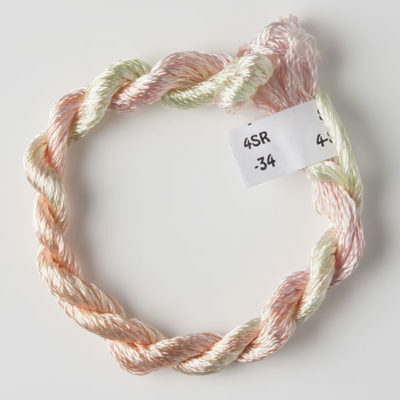 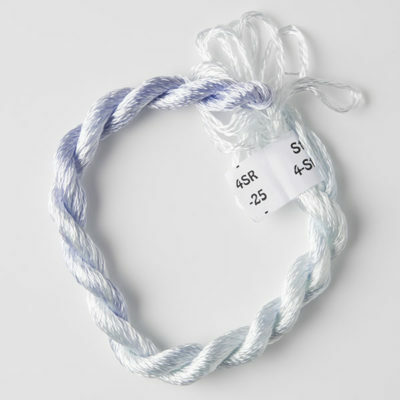 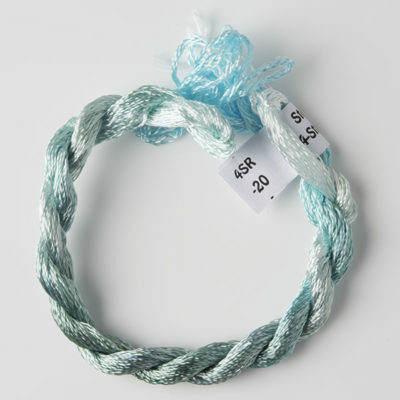 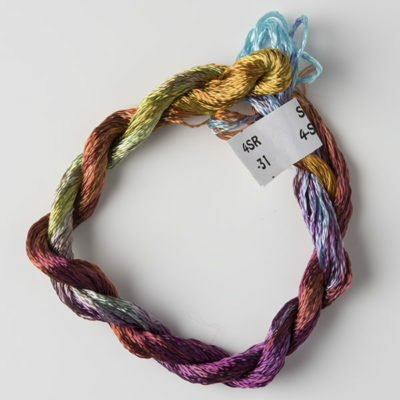 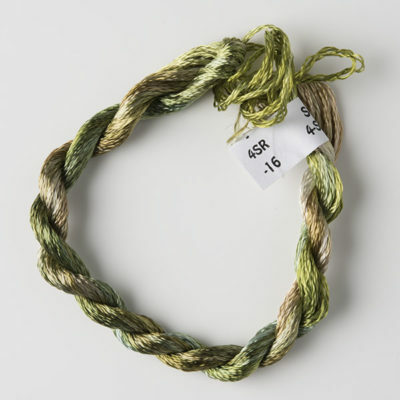 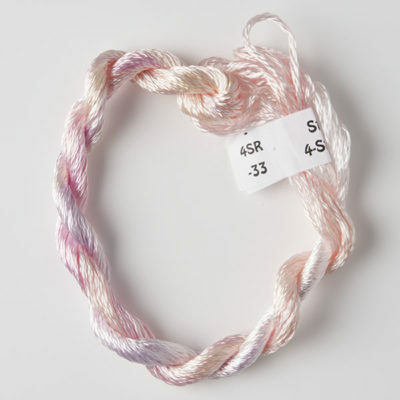 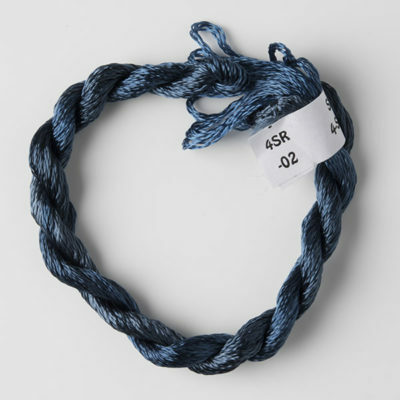 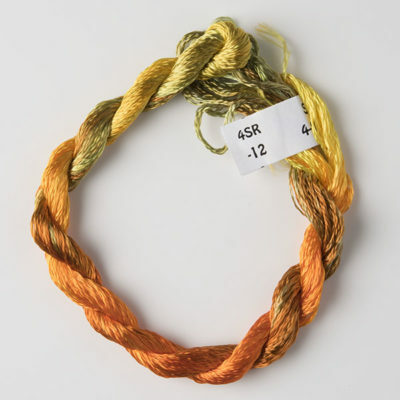 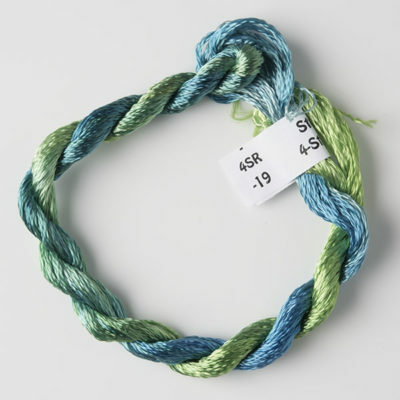 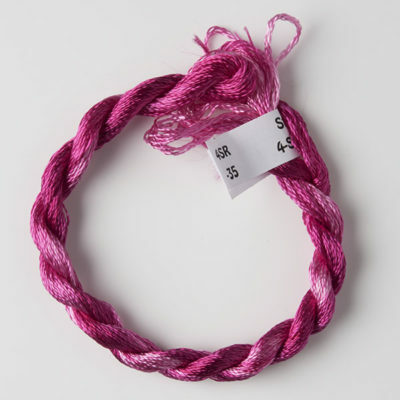 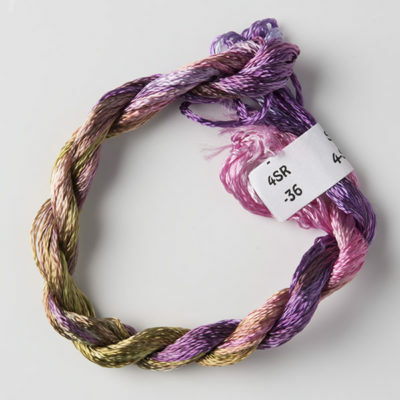 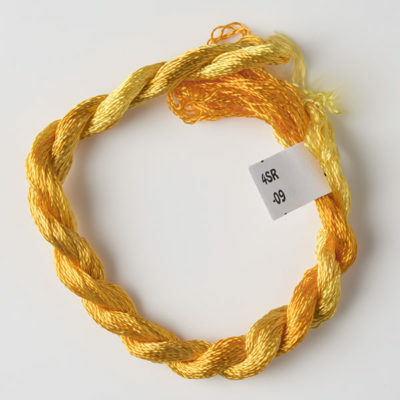 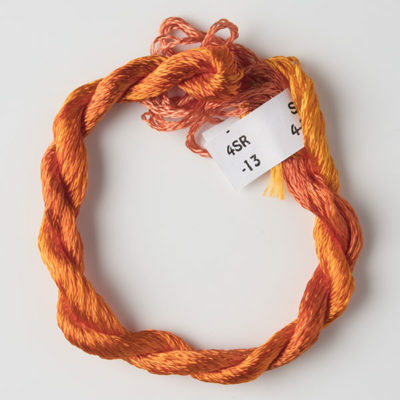 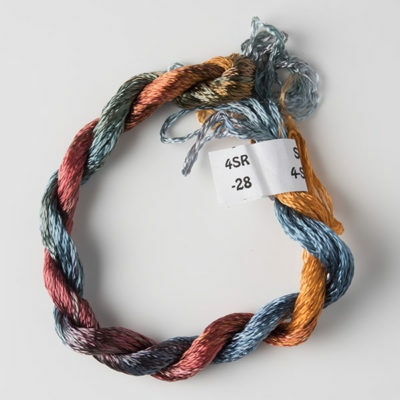 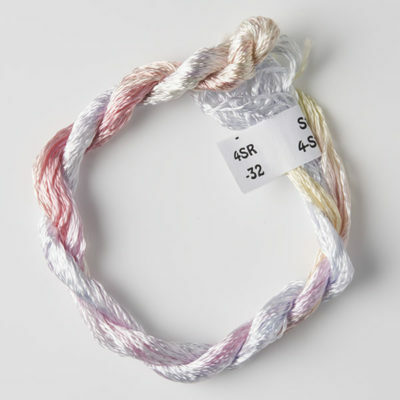 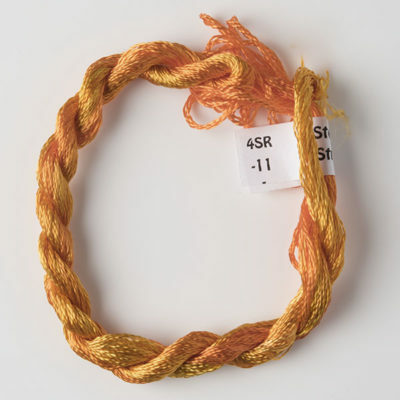 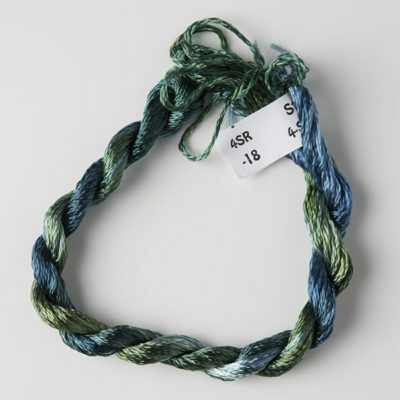 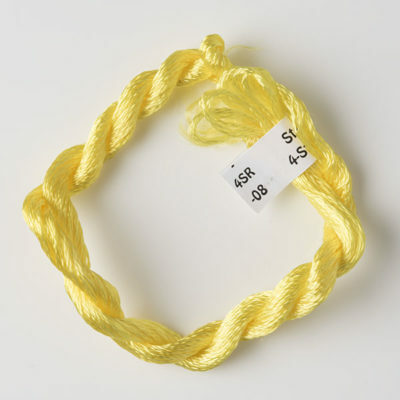 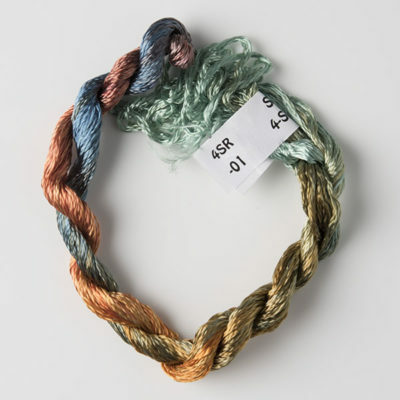 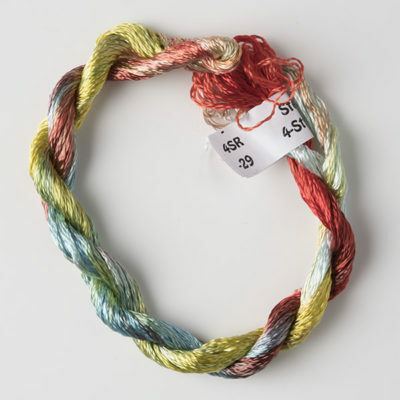 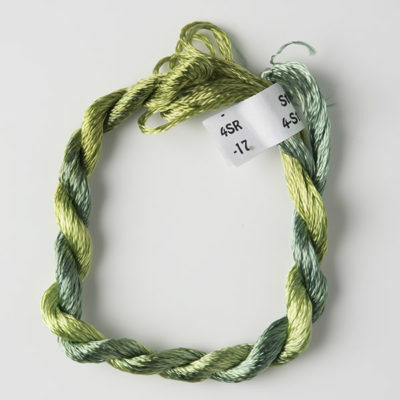 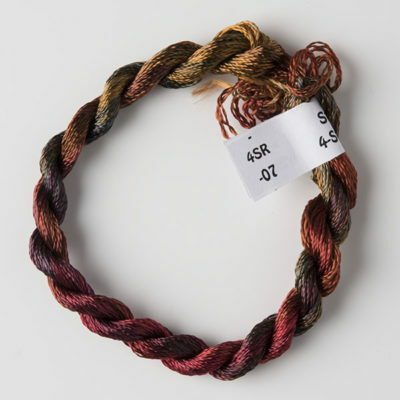 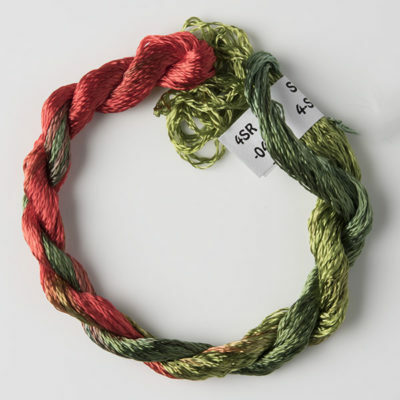 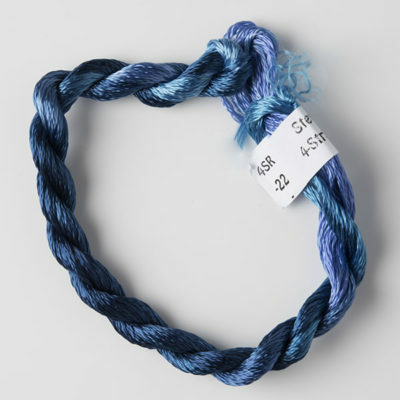 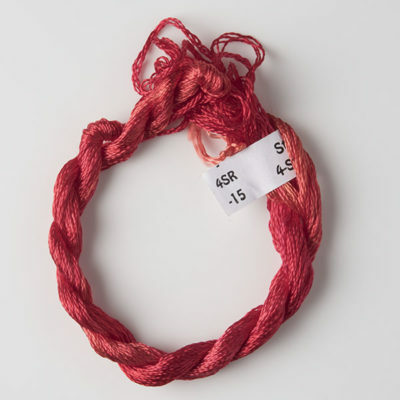 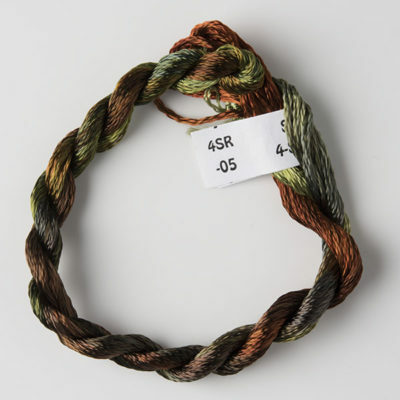 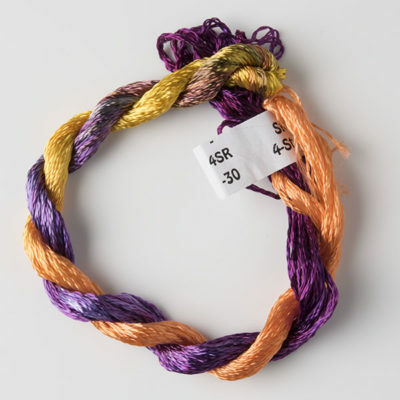 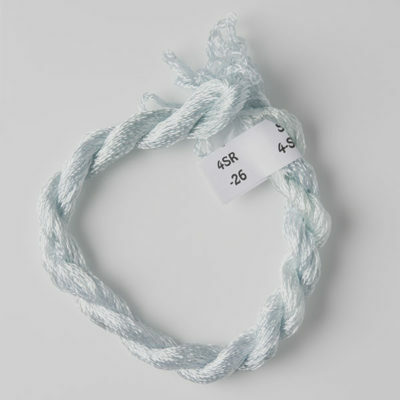 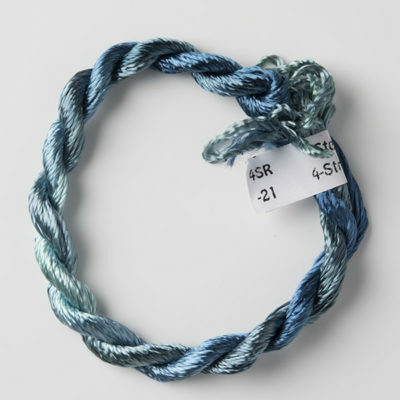 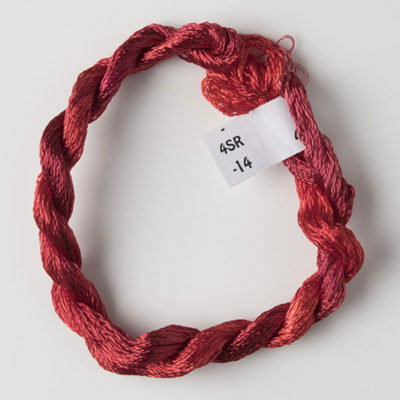 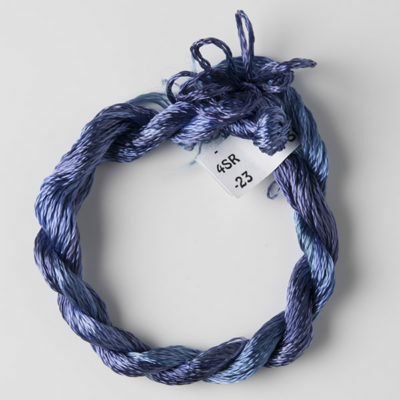 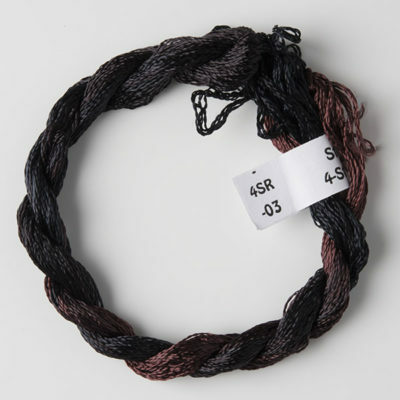 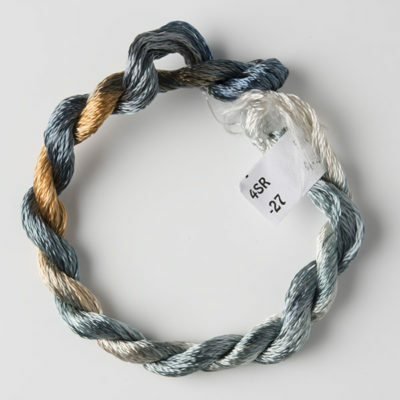 4-Strand rayon is a medium weight lustrous rayon yarn which is often split down to produce finer threads. 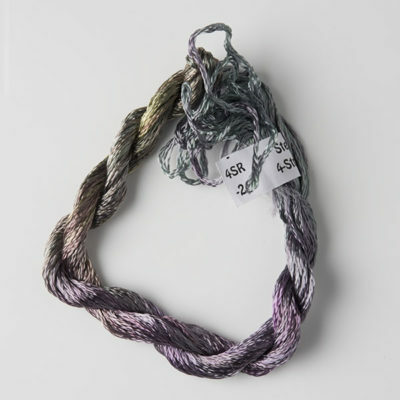 It is hand dyed in our standard colour range. 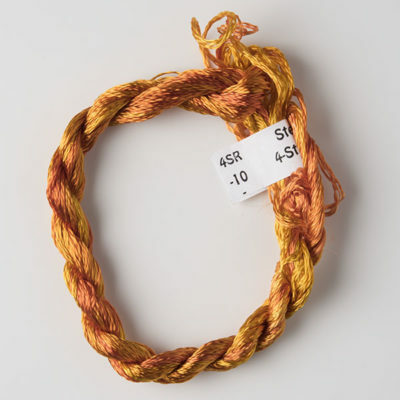 Number of Strands : 4.